The research field of current members of the Sensory Neuroscience Research Group is centred on the mammalian (including human) auditory system and comparative aspects of hearing. We conduct basic research on hearing. Our approach provides essential insight into the normal workings of the cochlea and the basis for understanding and devising treatments for hearing loss which affects over 11 million people in the UK– one out of every six people. Knowledge gained from our multidisciplinary research on the normal function and bases of hearing loss of the mammalian hearing organ has provided ways and means to discover a role of acoustic communication in sexual and species recognition of mosquitos. Our extensive worldwide network of collaborators helps to undertake multidisciplinary approach to problems of hearing and hearing restoration. 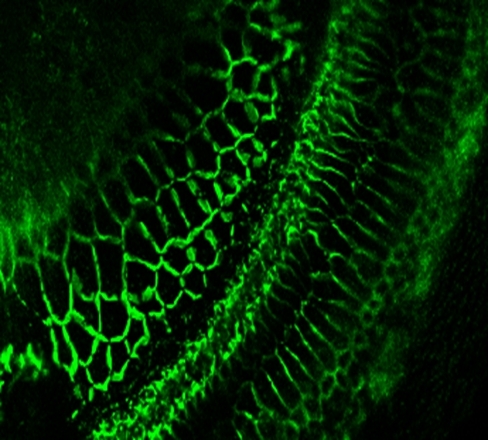 Our research themes are: Physiology and biophysics of the mammalian cochlea with focus on cochlear micromechanics and generation of optoacoustic emissions; Hearing impairment as a consequence of genetic mutation, noise and age-related hearing loss; Development of new types of hearing aid and new ways of drug delivery into the cochlea; Acoustic behaviour and hearing mechanisms in mosquitoes.